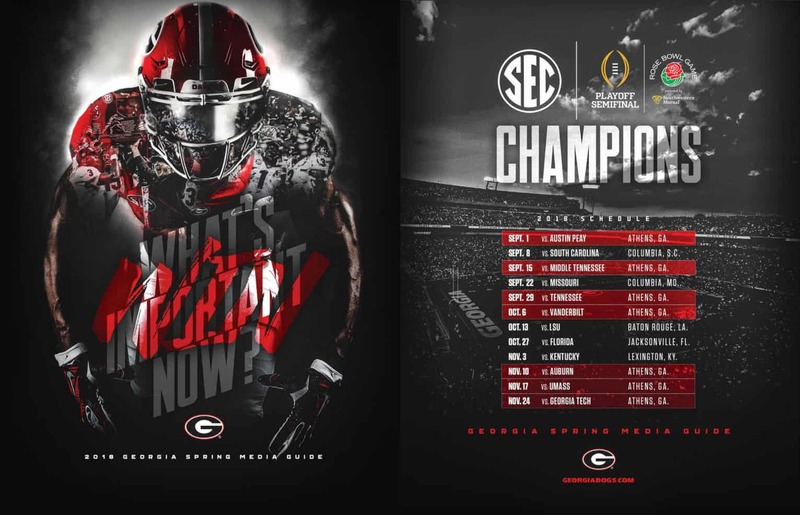 The 2018 UGA Football Spring Guide is now available to view online (see below). The preseason guide features 74 pages of Georgia Bulldogs football information, including the 2018 Spring roster, 2018 opponent information, Spring outlook, Spring notes, 2018 player bios, 2018 signee bios, and more. Georgia began Spring practice on Monday, March 20. The 2018 G-Day Spring Game is set for Saturday, April 21 at 4pm ET and it will be televised by ESPN. The Bulldogs kick off the 2018 season in Sanford Stadium on Saturday, Sept. 1 against the Austin Peay Governors (UGA Football Schedule).